Describing a game using the standard representation requires information exponential in the number of players. This description complexity is impractical for modeling large games with thousands or millions of players and may also be wasteful when the information required to populate the payoff matrices of the game is unknown, hard to determine, or enjoy high redundancy which would allow for a much more succinct representation. Indeed, to model large games, succinct representations, such as graphical games, have been suggested which save in description complexity by specifying the graph of player-interactions. However, computing Nash equilibria in such games has been shown to be an intractable problem by Daskalakis, Goldberg and Papadimitriou, and whether approximate equilibria can be computed remains an important open problem. We consider instead a different class of succinct games, called anonymous games, in which the payoff of each player is a symmetric function of the actions of the other players; that is, every player is oblivious of the identities of the other players. 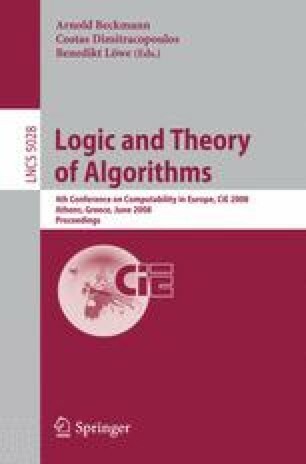 We argue that many large games of practical interest, such as congestion games, several auction settings, and social phenomena, are anonymous and provide a polynomial time approximation scheme for computing Nash equilibria in these games.